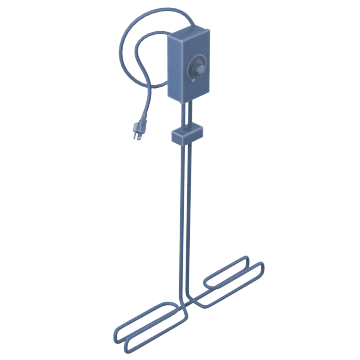 Also known as over-the-side heaters, these immersion heaters attach to the side of an open tank or drum to heat liquids without the need for a tap or additional mounting provisions. Be sure they are immersed at least up to the specified minimum immersion depth. 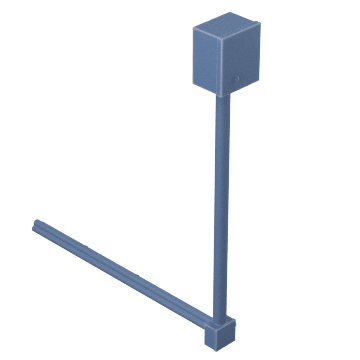 Use these immersion heaters with water and water-based solutions that are not corrosive to Incoloy. 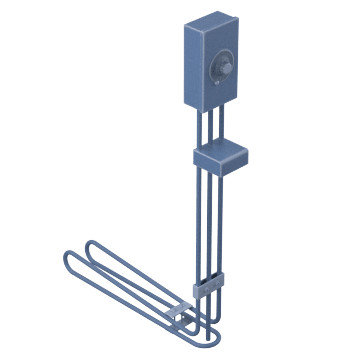 Over-the-side style heaters can be used in vessels that do not have an outlet, and can be easily removed when the desired temperature is reached, while bung mounted heaters are suitable for long-term installation. Commonly used in laboratory sinks and holding tanks, these heaters are designed for sterilizing water. They're made of 316 stainless steel and have excellent corrosion resistance. 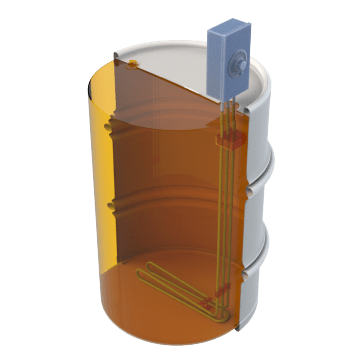 Improve the flow of high-viscosity liquids, such as lard, tar, and oil.